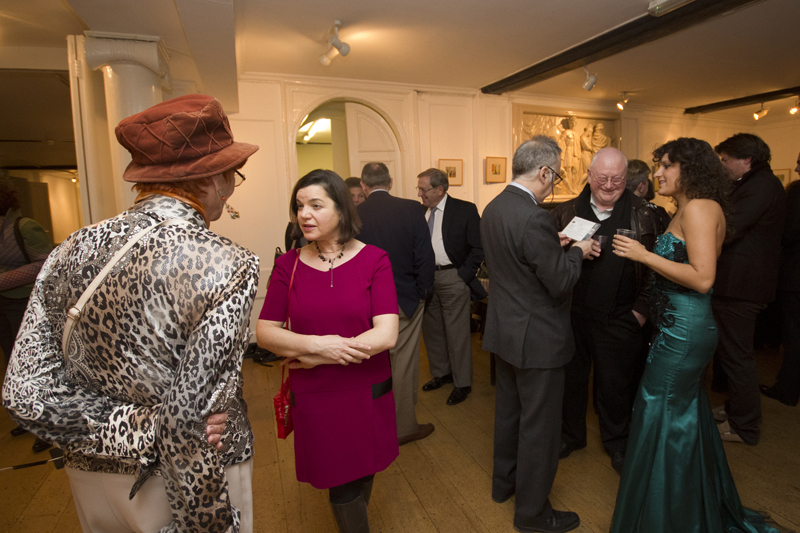 A packed crowd of around 60 people attended the second JR salon event this week at Lauderdale House in Highgate. They were there to hear the virtuoso talents of violinist Irmina Trynkos, as well as the sparkling sounds of pianist Marco Fatichenti. And they weren’t disappointed. Dressed in a jewelled, emerald green evening gown, Irmina treated the audience to a programme full of energy and passion. Irmina opened proceedings with the sweeping Sonata for Violin and Piano in D Minor No.3 Op.108, by Johannes Brahms, followed by a piece by the relatively unknown Polish-German Jewish composer Ignatz Waghalter – his Sonata for Violin and Piano in F Minor Op.5. Ernest Bloch’s Baal Shem Nigun and George Gershwin’s sprightly Prelude No.1 followed, as well as the theme by John Williams from Shindler’s List, which Irmina played in melancholy and moving style. The concert ended with the quirky gypsy sounds of Maurice Ravel’s Tzigane, played with terrific speed and verve by both violinist and pianist. The music was interspersed with some background to the composers provided by the warm and engaging broadcaster Rodney Greenberg, who was the presenter for the evening. He and Irmina took time to discuss Waghalter's farewell – and return – to Germany, his fall from the public consciousness and how he made the wrong move of staying in New York rather than LA, as he might have better developed his career in Hollywood. She has taken on the task of reviving his little known works, along with other ‘forgotten’ composers. 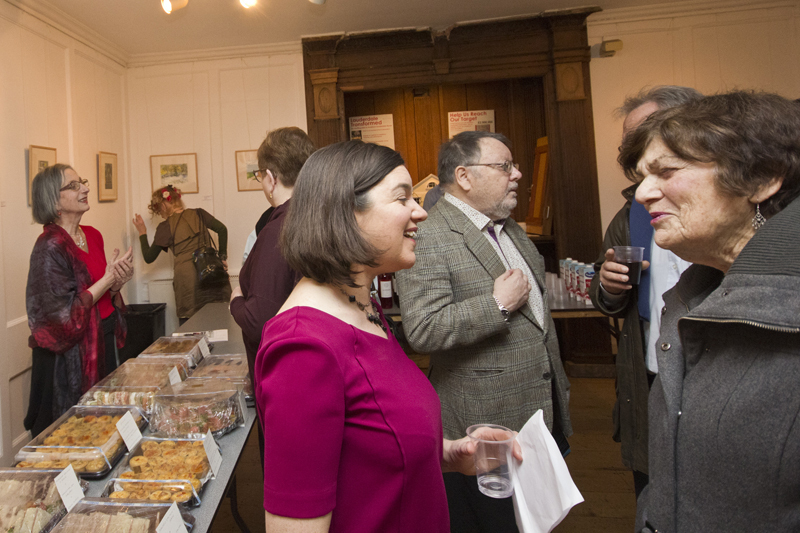 The music was followed by drinks and canapés. The elegant, yet intimate, surrounds of Lauderdale House provided the perfect backdrop for the event and we hope to continue our salon series soon. To find out more about Irmina Trynkos, read our article about her. Visit facebook.com/JewishRenaissance for more photos.